Robert E. Hill, Inc. is a medium-sized family-owned and operated real estate management company since 1919. 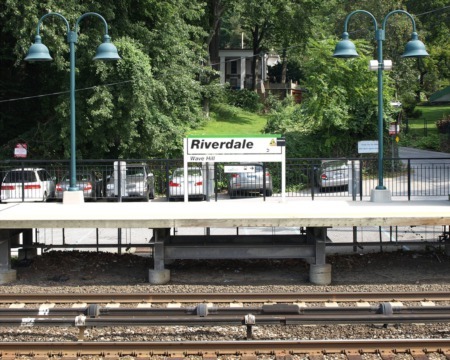 The office is located in Riverdale, making access to Lower Westchester and Upper Manhattan very convenient. We like to keep our properties within a 20-minute radius to minimize travel time for the agents. We currently manage a portfolio that includes 31 co-ops, condominiums and homeowners associations as well as commercial and residential property in the Bronx, Manhattan, and Westchester. Robert E. Hill, Inc. employs six managing agents and six members of support staff. An experienced team of sales brokers and associates is also on-site. Our focus is personalized service and attention to the Board as well as to all residents of the co-op community. Our managing agents are hands-on, involved in every aspect of the co-op and very accessible. Weekly top-to-bottom inspections by the managing agent in charge of the property. Oversight of all projects and capital improvements in conjunction with architects/engineers. One of the most important aspects of property management is the preventive maintenance of the building systems. This improves the quality of life for the residents and reduces maintenance expenses in the long run. We work with the Board to establishment job descriptions and work guidelines for the staff. Supervision of all employees including performance reviews. Hands-on interaction with the Union and follow-through on all disciplinary issues. Attendance at all monthly board meetings and annual meetings by the managing agent in charge of the property. The agent will issue a draft agenda prior to the meeting and distribute a fully prepared management report to the Board. We maintain a 24-hour live answering service that has direct contact with your managing agent 24-hours every day of the week. We prepare all transfer and sublease applications for distribution to the Board and have a full-service closing department.